Room tells the story of 5-year old Jack, who has lived all of his life with his Ma in a locked room. He lives in an artificial reality, where the surrounding objects are personified, TV is a window to other planets, and what lies Outside of Door is Outer Space. Interesting premise? Absolutely. Inspired by the Josef Fritzl case, told from the point of view of little Jack, unnervingly realistic and with a fair amount of tension in the first half, Room is certainly worth reading. Having said that, it’s a little hard to understand why everyone went crazy over it. Well, maybe not that hard: saying anything negative about it would be like finding faults in a little child’s drawing. Consequently, it is my impression that Room is one of those works that you just have to rave about lest you’re looked down upon – just like Pulp Fiction managed to convince an entire generation that it was a good film. Room‘s biggest problem is what is supposed to be its biggest asset: it’s told by a 5-year old boy with a seriously skewed view of the world. It’s supposed to be endearing; it’s not. You know how cute it is when a little child tries to tell you a story? Now imagine the same little child yapping incessantly in your ear for the next ten hours, interspersed with incomprehensible demands, complaints, whining and tantrums. Yep – not so cute any more. Annoying is how you’d describe it. And there’s the rub: The story, and particularly its psychological dimension, is complex and dark – enough to make a thrilling page-turner. But instead of that we are constantly treated to what Jack is distracted with at any given moment. For example, during his mother’s psychological evaluation, we have to endure a couple of pages of Jack’s toy trucks. Tension dissipates with an obscene amount of Dora the Explorer. The impact of a really interesting and original story rapidly diffuses while Jack rambles on about how he hates shoes. What Donoghue is trying to do is commendable: put the reader in the mind of a child who has known nothing outside of a 12-foot room all his life. And she does this superbly well, with the skill of someone who has had some serious hands-on experience with children. The fault is not that she doesn’t achieve this; it’s that she thinks that this is a good format for a psychological drama. Another problem is the actual plot. The first half of the book takes place in the room itself, describing a few typical days and bringing us up to speed with the all-important backstory: Jack’s Ma was kidnapped when she was 19 and she has been locked up for seven years. She has been repeatedly raped; she has had one stillborn girl and finally she had Jack. Her captor comes in almost every night to bring supplies and to engage in other, more despicable, activities. Then, at about 45% of the novel, it’s all over. In what is the only heart-pounding section of the book, Jack manages to escape, call for help and then rescue his Ma with the police. And just like that, Room is over. Now, the entire second half of the book is Readjustment. The suspense is gone. The struggle has ended. What now? 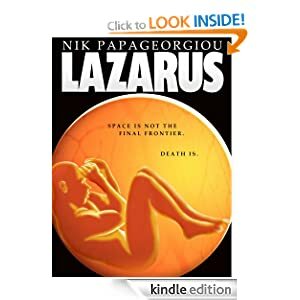 Police, media, clinics and doctors parade through the pages while Jack understands less and less, grows whinier and whinier, throws tantrums and – since he’s telling the tale – frustrates us more and more. Even his Ma’s family reunion – a potential tear-jerker – is lost under Jack’s confusion. Realistic? Yes. Good reading? No. The result is loss of empathy and sympathy. As adult readers, we don’t get enough adult input of what’s going on. We’re relying exclusively on a reality-challenged child to take us through the stages of a very mature drama. We don’t get to feel for Jack because Jack doesn’t seem to be suffering all that much. As long as Dora is around he’s happy; in fact, he gets on our nerves a bit too. On the other hand, Jack’s Ma doesn’t appear as damaged as she should be because we only see her through his eyes – knowledgeable, wise, strong and mature. She has to attempt suicide for us to appreciate that her prolonged captivity might have affected her somewhat. In short, I think that Room might have worked better as a straightforward psychological thriller, told in third person or even in first person through the mother’s point-of-view (although I imagine that would be hard work too). There is so much involved in this story, and we’d love to know more about the captor, about the kidnapping itself, about the girl’s psychology and about Jack’s underdevelopment – all the while leading to the climactic escape/catharsis. But all we get is a “triumph of parenthood” – a beautiful drama reduced to a sob story for over-sensitive moms. We need to hear the tale from someone who understands what is going on and can appreciate its gravity. And quite frankly, little Jack is a child sent to do a grown-up’s job. 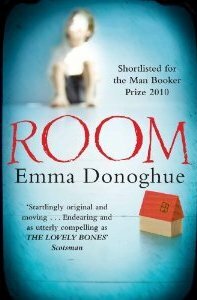 This entry was posted in Reviews and tagged Emma Donoghue, Fritzl case, Pulp Fiction, Room: A Novel. Bookmark the permalink. Honestly I enjoyed the book. It was fantastic. & You say that Jack doesn’t have very serious problems, but he does. He was locked in a Room for the first five years of his life and it shows how his adjustment to “outside” is a struggle. you just need to read between the lines and you’ll be able to tell that the child has some serious issues that need to be overcome. You can also tell that something is wrong with the mother by just reading between the lines. She begins to lose patients with Jack, starts becoming more distant, and she also becomes very angry and violent towards the Nurses. I don’t agree with you that Jack is whining, when actually if you look between the lines from a doctors perspective you will see that he suffering. He is bumping into things, he is confused and scared (no wonder), he just wants someone to explain things to him in terms that he can understand. Which of course should be his mother, but she is so caught up with her freedom and her own problems that he cannot rely on her. I think you misunderstood the review. My point was that the author’s decision to write from Jack’s perspective subtracted from what could have been an excellent drama. I get why little Jack is messed up. I just don’t want to read 400 pages of him trying to explain it to me.